At the turn of the century, the Lower East Side/East Village was home to 75 percent of the 2.5 million Ashkenazi Jews that immigrated to the U.S. They quickly established synagogues, many of which were “tenement synagogues,” aptly named because they were built on the narrow lots between tenements and served the mostly-impoverished people who lived in the surrounding, overcrowded buildings. Only one of these tenement synagogues is still in operation–the Congregation Meseritz Synagogue (or Anshei Meseritz) at 515 East 6th Street. Narrowly saved from the wrecking ball in 2012, Meseritz is now undergoing a total overhaul. Real estate developer East River Partners is adding three luxury apartments, including an 11-foot-tall penthouse, to the top of the structure. Though the plan was initially contested by some neighbors and local community and preservation groups, the developer is undertaking a multimillion-dollar gut renovation of the ground floor, creating a new home out of which the congregation can worship. 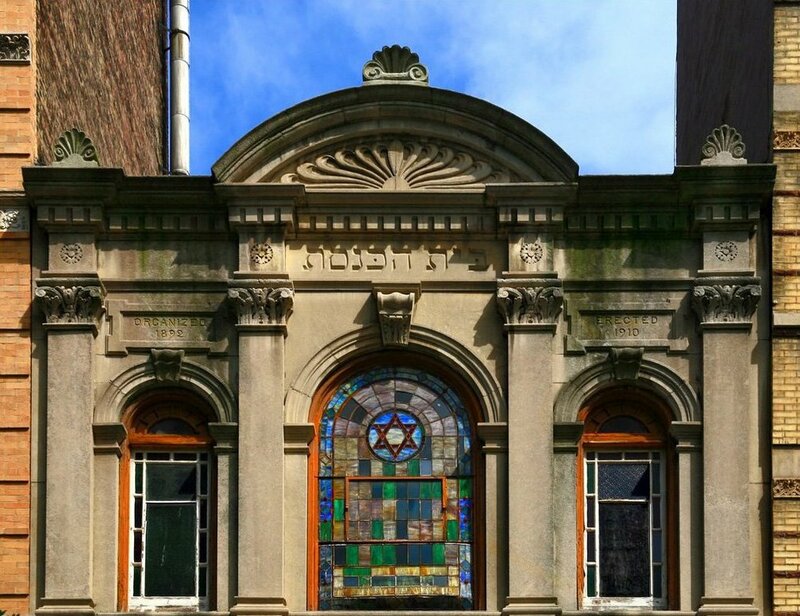 Meseritz Synagogue was founded by Polish immigrants as an orthodox congregation in 1888 on Clinton Street, and it moved to its East 6th Street building in 1910. At that time, German architect Herman Horenburger converted the building on the site to the synagogue for $15,000, reducing the height from three and a half to two and a half stories and adding the stone-and-brick neoclassical façade with stained-glass windows. After experiencing dwindling attendance, facing financial woes, and watching the building falling into disrepair in recent years (think crumbling brickwork and doors that had to be held shut with rope), the congregation began talks with Joshua Kushner to tear down the entire building, replacing it with a six-story residential structure that housed the synagogue in a modern space on the ground floor and basement. 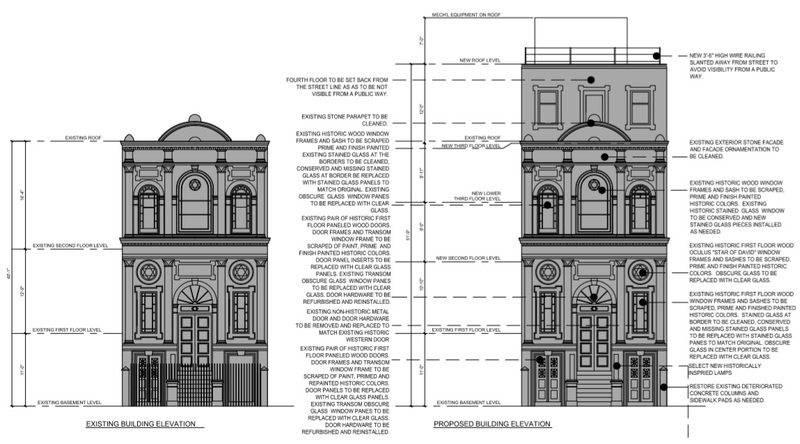 When announced, the plan was met with advocacy efforts to have the structure landmarked, and in 2012, it was included within the boundaries of the East Village/Lower East Side Historic District, protecting its historic façade. 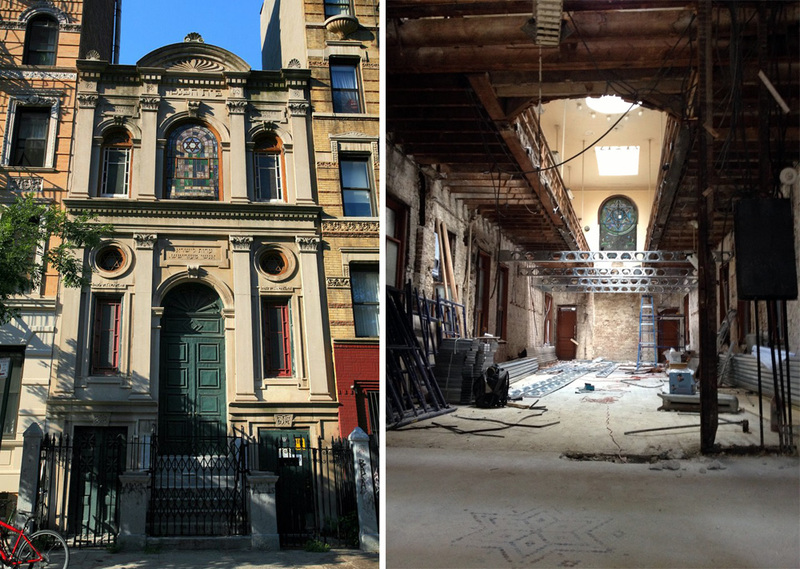 The Kushner deal fell through, and Meseritz instead inked a $1.2 million, 99-year lease with East River Partners, who also plan to pay an annual maintenance fee to ensure the shul remains in operation for another 200 years. The condos are expected to hit the market this fall. The developer has not revealed any pricing information, but you can stay up to date on 515 East 6th Street here.